Kaye attended a cute Hello Kitty birthday party of one of her girlfriends. 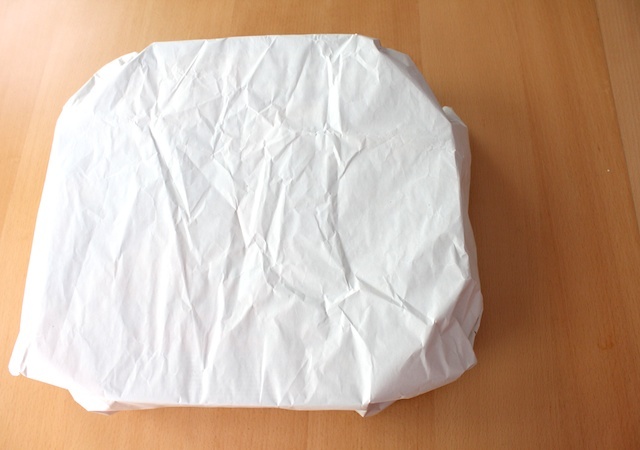 To wrap the birthday gift, I reused some packaging paper as the wrapping. 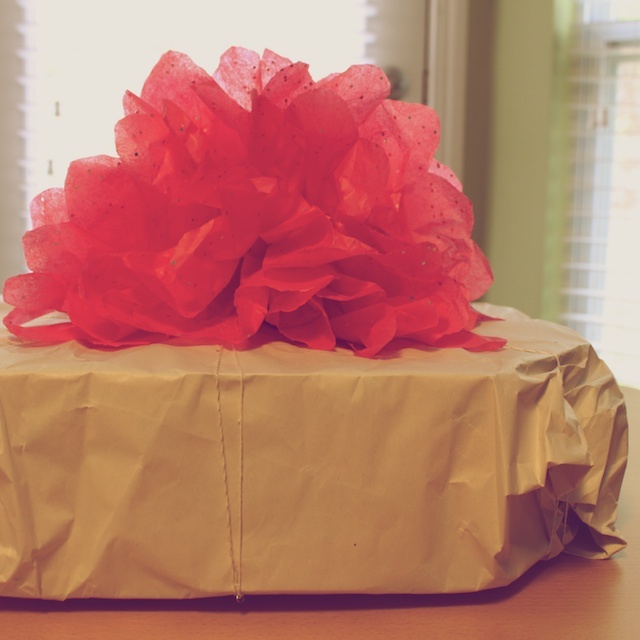 I love using packaging paper or newsprint to wrap gifts. However, in this instance, it was slightly see-through. So I thought of this quick gift topper that covered most of the gift so she couldn’t see what it was. 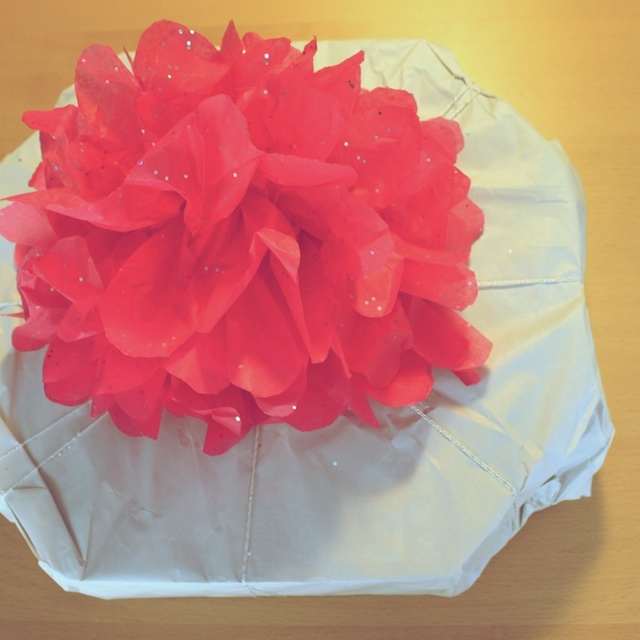 A few minutes before we headed out the door, I grabbed some glittered tissue paper and made a half tissue paper pom pom. Can I express how much I dislike glitter. Sure it’s pretty, but it gets everywhere and sticks to everything. Not worth it. Anyway, don’t laugh at my wrapping. This was an octagon shaped gift. A little tricky to wrap, OK. And the pom pom gift topper was a huge hit. They ended up keeping it to reuse. I love it. Reuse, reduce and recycle. Remember, if you made something inspired by Simply Modern Mom, please upload pictures of it in our Flickr group to show it off to everyone. You may be featured on Simply Modern Mom. 1. 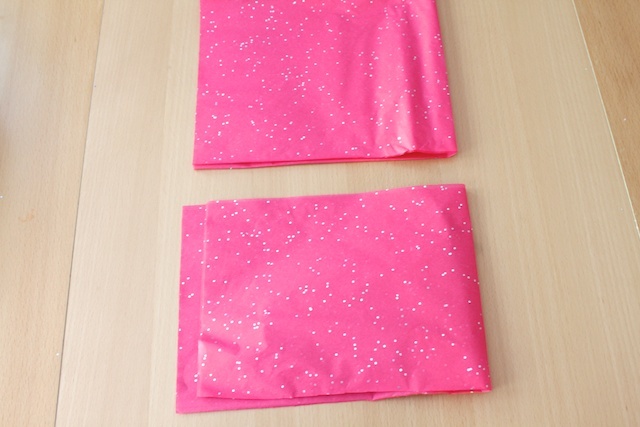 Stack the tissue paper together and fold lengthwise in half. Trim off about 5-6 inches from one end of the length. 2. Get rid of the portion that was cut (the 5-6 inch). Use the bigger portion of the tissue paper. 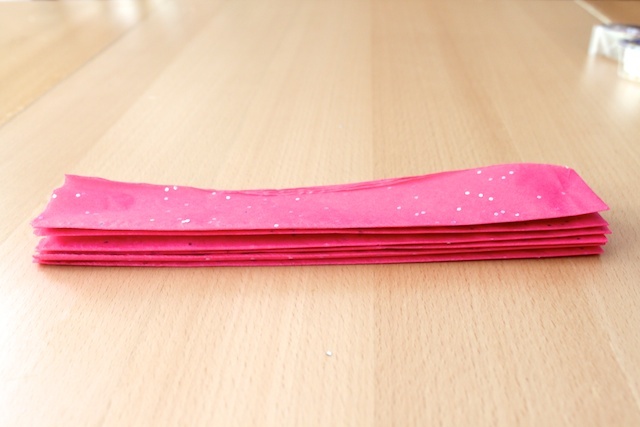 With the paper still folded in half lengthwise, crease it into an accordion fold about 1 inch wide. Run over the creases with the bone folder or credit card. 3. 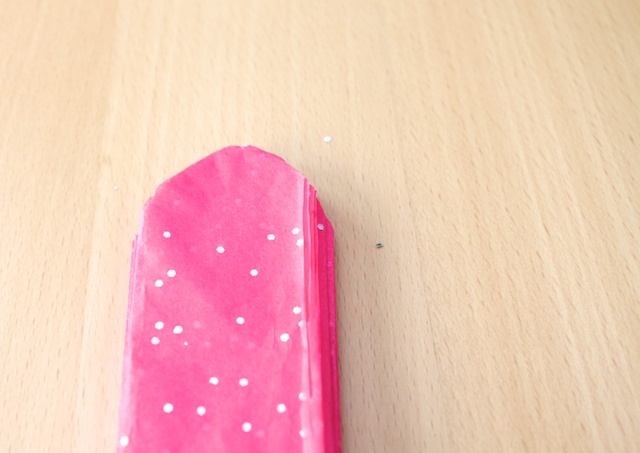 With the open side of the tissue paper, cut a rounded end. It will be tough to cut through all the layers of tissue paper at the same time. Use a pair of sharp scissors. 4. 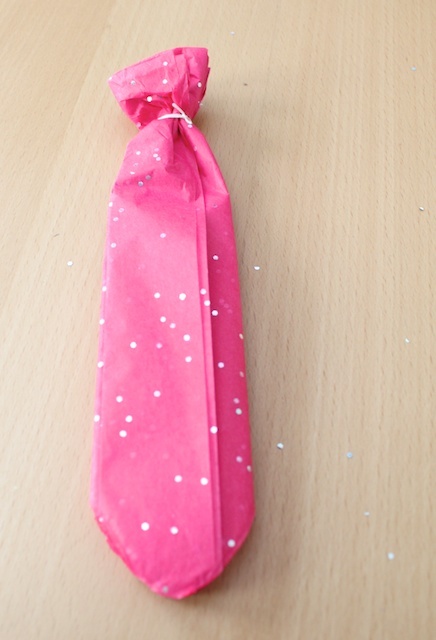 On the folded side of the tissue paper, tie it tight with some string. 5. Fan out the tissue papers and break up the layers. Be gentle so you don’t rip the tissue. Fluff as needed. » Tell me… What is your favorite way to decorate a gift? this is adorable too cute! I have no gift to wrap but I just have to try this. Thanks for the money saver!